Select standard item or request quote for additional sizes, stocks, and finishes. 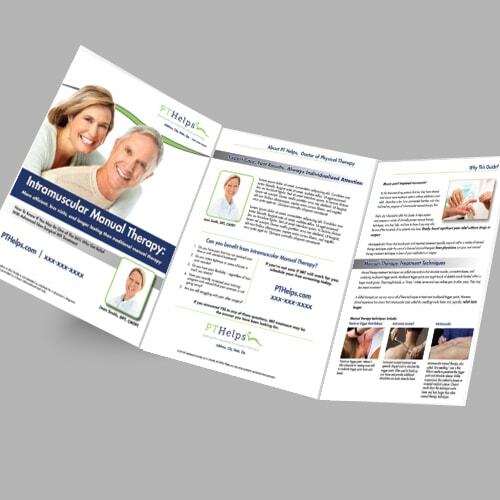 Have us customize your brochure, or print your own design. 8-1/2″ x 11″ finished size. Printed 1 or 2 sides, full color, same price. Once you place your order, we will contact you to discuss complete customization. 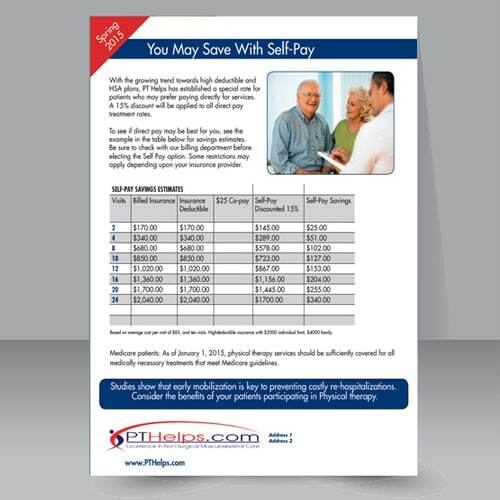 Select a standard item-quantity or request quote for additional sizes, stocks, and finishes. 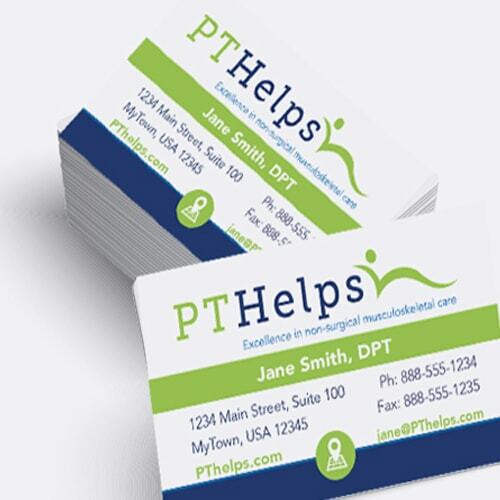 If you are supplying a logo for us to use, please upload a high resolution file .jpg, .png, .psd, or .pdf. Optional graphic design and copywriting. Select these options to have one of our designers/copywriters contact you to discuss your brochure preferences. If we are not creating your print file, please upload your own design here. Print files need to have 1) crop marks, 2) .125 bleed on all 4 sides, 3) CMYK color settings, and 4) 300dpi resolution. Please upload a file with your photos, graphics, or other information you want us to use when producing or designing your file. If you are supplying a logo for us to use, please upload a high resolution file. Vector file preferred. .jpg, .png, .psd, and .pdf also acceptable. Please tell us anything else you want us to know about your order. Earn up to 1,200 PTRM. 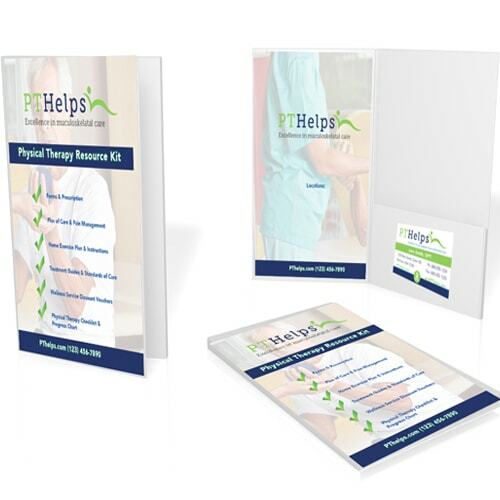 After the business card, pocket brochures for physical therapists are the most popular item we print. 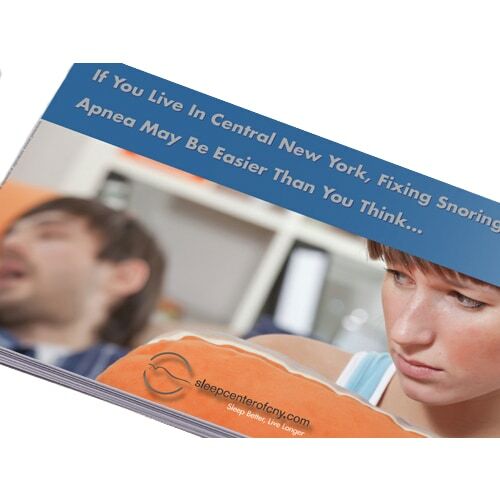 A simple brochure – when done right – quickly communicates why your practice is any better than your competitor’s. Desktop printing or copy shop reproduction. 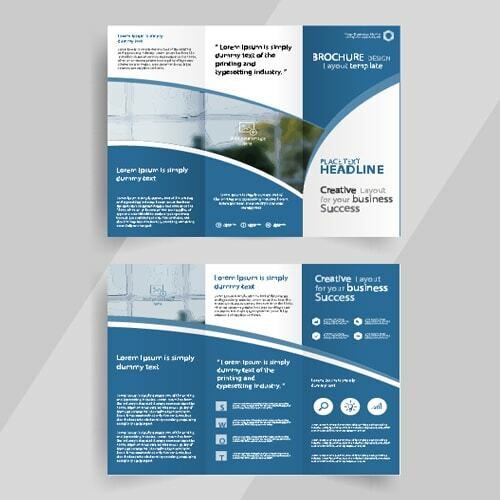 Brochures printed on your office printer usually SCREAM a weak brand image. 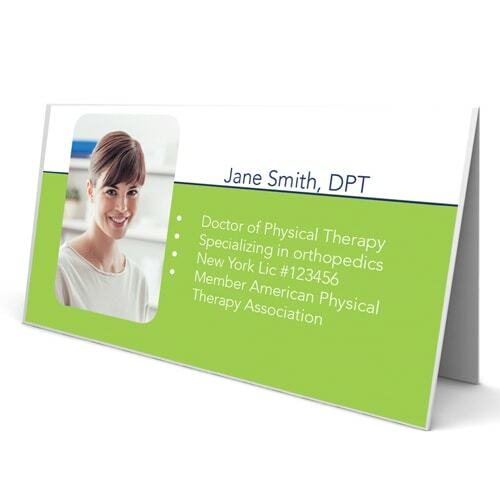 Colors washed, edges designed to bleed with bright color print as a white frame border, and images don’t print crisply. Unprofessional design and copywriting. Avoid design and copywriting by someone with no professional experience. Even beautiful printing won’t fix this. The Website Substitute. We hear it all the time. 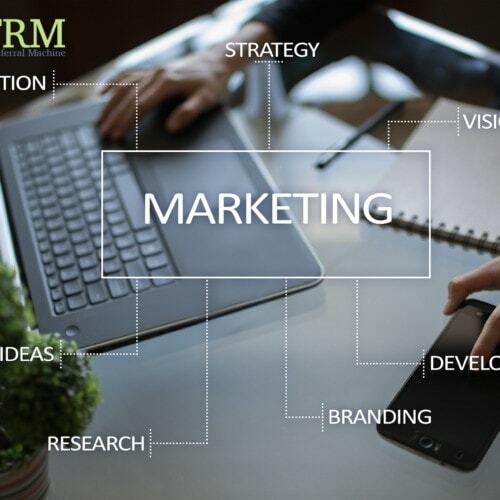 “Why do I need a brochure when I can just send everyone to my website?” Websites are, of course, a marketing Essential, but they are no substitute for a brochure. Not convinced? Think about all the brochures used for most other products and services. Brochures teach and reinforce your value. 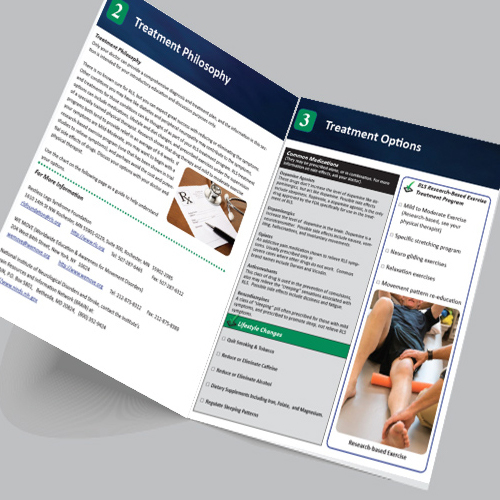 Websites and brochures work better together. 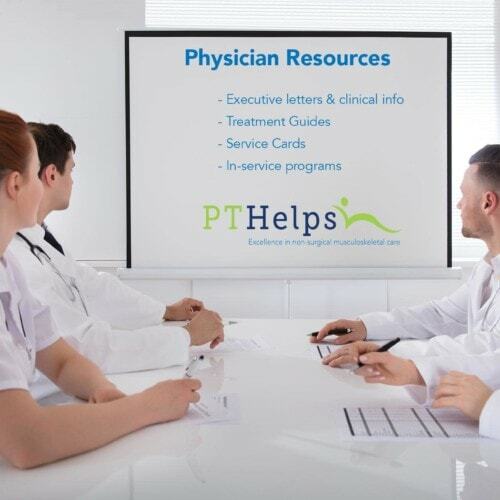 Is the logo the focal point of your brochure cover? If you answered yes to either of those questions, then you’re emulating a brand-builder. 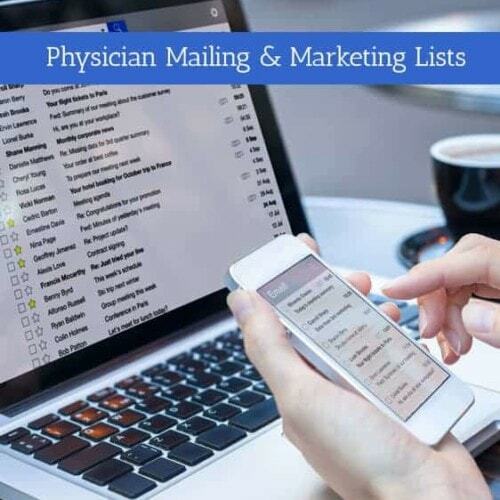 Read more about how to fix that or get started with your free trial now. 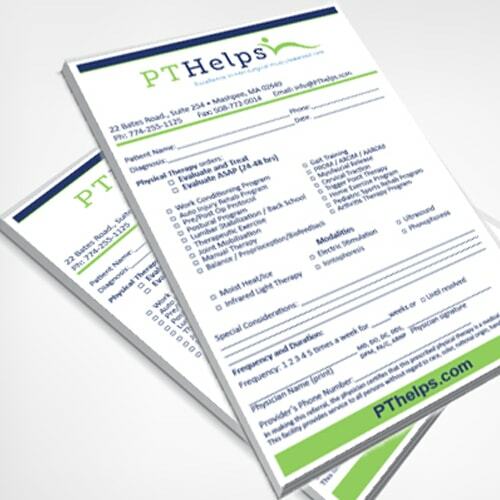 Take advantage of our high-quality, competitive pricing, and value-added design and copywriting service exclusively for physical therapists, fitness, and wellness providers. Graphic design is included for all subscribers with no minimum order. 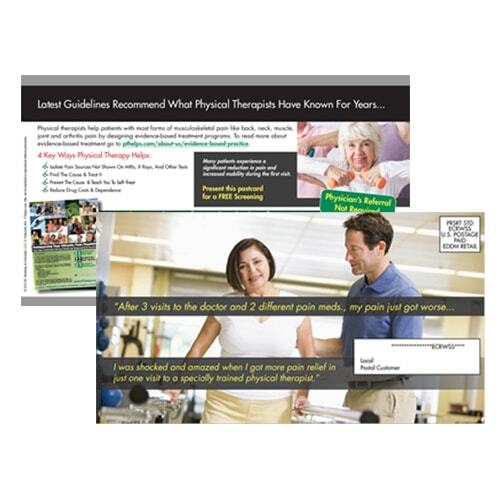 PTRM print services do more for less – Design, write physical therapy content, print, AND deliver. All for one low price.